Loss, indescribable loss and grief—these are the feelings that are so often misunderstood and mismanaged by others. I have never seen such a beautifully told and charmingly illustrated rendering of loss, grief, sorrow and the many common, though hurtful, attempts by others to “comfort” the one who grieves. Only the rabbit, with his big, sensitive ears, listened. Would that Job himself had had such a rabbit! 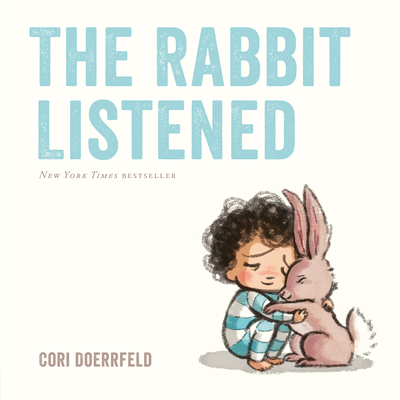 With its spare, poignant text and irresistibly sweet illustrations, The Rabbit Listened is a tender meditation on loss. Cori Doerrfeld is the author-illustrator of Penny Loves Pink, Little Bunny Foo Foo, Matilda in the Middle and Maggie and Wendel: Imagine Everything!. She lives in Minneapolis, Minnesota, with her husband and kids.